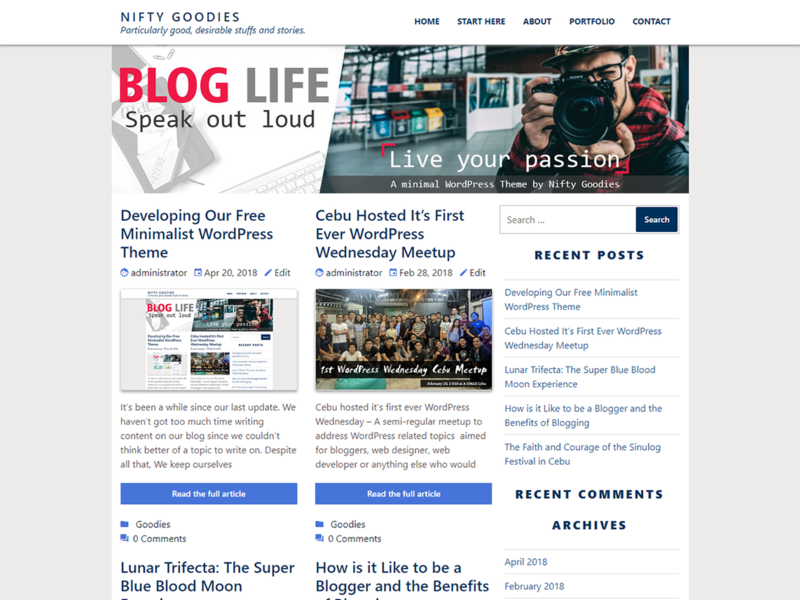 Nifty Goodies Theme is a minimal WordPress theme built and design for personal blogging. It features multiple sections on the front page as well as widgets and navigation menus, a logo, and more. Personalize its asymmetrical grid with a custom color scheme and showcase your multimedia content with post formats. Our default theme works great in many languages, for any abilities, and on any device. Nifty Goodies Theme is a Free Responsive theme built in Bootstrap 4 framework.